The Lakeside City Alliance and the North Druid Hills Study Group on March 19. Two groups investigating the creation of a new city in the North Druid Hills-Briarcliff area will hold a joint meeting later this month. The Lakeside City Alliance and the North Druid Hills Study Group will answer questions from residents of the Sagamore Hills and Briarcliff Woods civic associations regarding their proposed city plans. The Briarcliff Woods Civic Association is joining with Sagamore Hills Civic Association to hold a joint information session where residents may address their questions to the two separate groups who are working toward a city in North DeKalb County. Both the Lakeside Alliance Group and the North Druid Hills Study Group will be present to answer questions on their proposals for cityhood. The meeting will be held at Sagamore Hills Elementary School at 1865 Alderbrook Road, Atlanta, GA 30345 starting at 7 PM on Tuesday, March 19. Prior to the meeting, please send your questions to briarcliffwoods@gmail.com and we will compile them for the meeting. The Board of Directors has formed a sub-committee to collect questions and focus on this important topic. The DeKalb school system is more about money and property values than education. Your school either has influence or it does not. Your school is either on the inside or the outside of the DCSS and the DeKalb Board Of Education. DeKalb schools have been so poorly run, so mismanaged that last week the state board recommended that every board member not serving their first term be removed citing a sustained “culture of poor governance”. This culture stems from misappropriation of tax funds, nepotism, favoritism, cronyism and politicking of an institution that has one function…providing a quality education for our children. While I cannot cite many of the past indiscretions I can raise awareness of one in the works: The planned replacement of Fernbank Elementary School. Along with Avondale, Briar Vista, Laurel Ridge and McLendon Elementary schools, Fernbank is in the Druid Hills High School “cluster”. 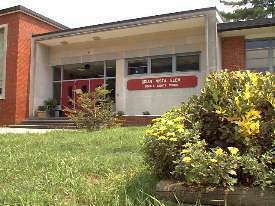 These elementary schools feel Druid Hills Middle which feeds Druid Hills High. Since the entire cluster feeds the same middle and high school only elementary school districts exist within the cluster. The entire county school system is composed of such clusters. Don’t believe me? Check the below link from the DCSS website. In short we are spending tens of millions of tax payer dollars on new school that will decrease average facility utilization from the current 93% to 80%, all to accommodate 97 students in a school cluster with over 300 open seats. Am I the only genius who sees the problem here? Wait…refer to the 3 points above. Who has influence? Who is on the inside? Who stands to gain financially? Are there plans to close a school in the cluster to fill the new Fernbank? Not now and not likely. Fernbank’ s stellar test scores are, in large part, due to the near absence of students with the Limited English skills and economic disadvantages, the two demographics that most negatively impact test scores. If a neighboring school were to close it would take some serious gerrymandering (like the Cross Keys cluster) to keep these demographics intact. Consider that the 82 students targeted for redistricting from Laurel Ridge and Briar Vista are all from single family residences, least likely to contain these demographics. Conversely, will the county redistrict Fernbank students to relieve overcrowding and balance the cluster? History has shown that they will be in for the fight of their life if they try. So why is county spending a large portion of the 2.2 billion tax payer dollars on a new school where it is clearly not justified? Who has influence? Who is on the inside? Who stands to gain financially? And at whose expense? Around 60% of your county property taxes go to schools and the entire county will pay for SLPOST IV, the 1 cent tax that will be in place for the next 4 years. How much of this money will be spent in your neighborhood? Helping educate your children? Helping your property values? For Briar Vista, our neighborhood school: no influence, no one on the inside, no one fighting for our interests. If you are concerned you should be. Strike while the iron is hot!! Write Governor Deal (http://gov.georgia.gov/contact-governor-domestic-form), representative Scott Holcomb (scott@repscottholcomb.com), interim school Superintendent Michael Thurmond (michael_l_thurmond@fc.dekalb.k12.ga.us),Marshal Orson, our new Board of Education representative (marshall_orson@fc.dekalb.k12.ga.us) and voice your concerns. Tell them to not only remove the board, but to begin repairing the damage they have done. Share this with anyone who will listen. Ask questions and carefully listen to the answers. There may still be time to do something that will benefit all our children, not just a chosen few. Editor’s Note: The above piece is the expressed opinion of the author and not policy of LLCC. The State Board of Education voted late Thursday night to recommend the removal of six members of the DeKalb School Board to Gov. Nathan Deal. The board voted unanimously to recommend that Sarah Copelin-Wood, Donna Edler, Eugene Walker, Jay Cunningham, Nancy Jester and Pamela Speaks be removed from the DeKalb school board. If Gov. Deal follows the board’s recommendation, Jim McMahan, Marshall Orson and Melvin Johnson would remain on the board as newly elected members. The recommendation came after a meeting that began at 8 am and ended at 10:15 pm. The meeting was the latest in the DeKalb school system’s ongoing battle to avoid losing its accreditation from the Southern Association of Colleges & Schools, which has already placed the system on probation. DeKalb’s school board had to convince the State Board of Education that it was making progress toward retaining its accreditation. The State Board has the authority to recommend that Gov. Deal remove the board. The DeKalb school board had sought a temporary injunction of this morning’s meeting as it challenges the law that gives the governor the authority to remove an entire school board. A judge ruled denied the request early Wednesday afternoon.